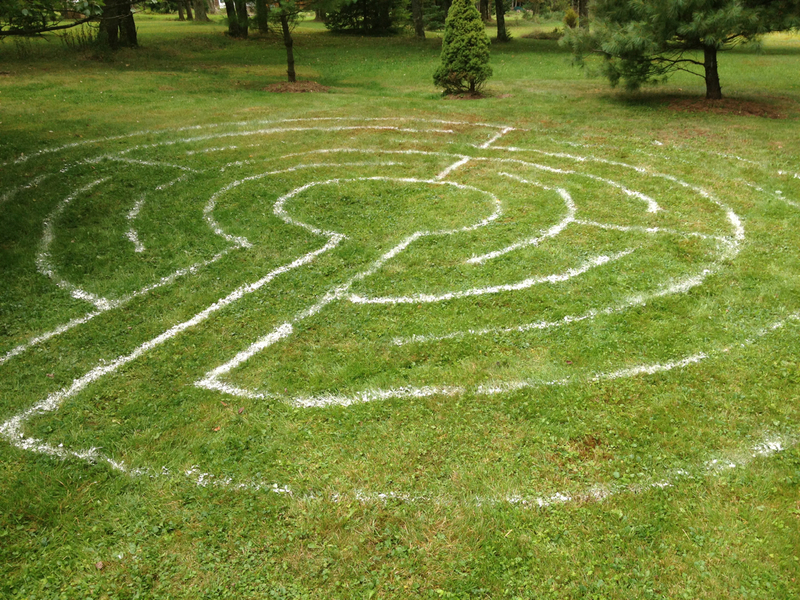 I have been fascinated with labyrinths since I saw my first one in person on the floor of Chartres Cathedral. Never would have imagined that this passion would have led me to want to build my own, which I did this morning using a smaller version of the Chartres pattern made of flour (ok for the environment AND it allowed me to see what it felt like before I build one next year out of stones. Thankfully, I was able to walk it a few times before a round of thunder and lightning storms came through and made the pathways disappear. Perhaps there may be a lesson about nature in that. I wonder how many other people have made something similar, or at least made use of the walking one that somehow seems to clear and focus the mind, body, and spirit? 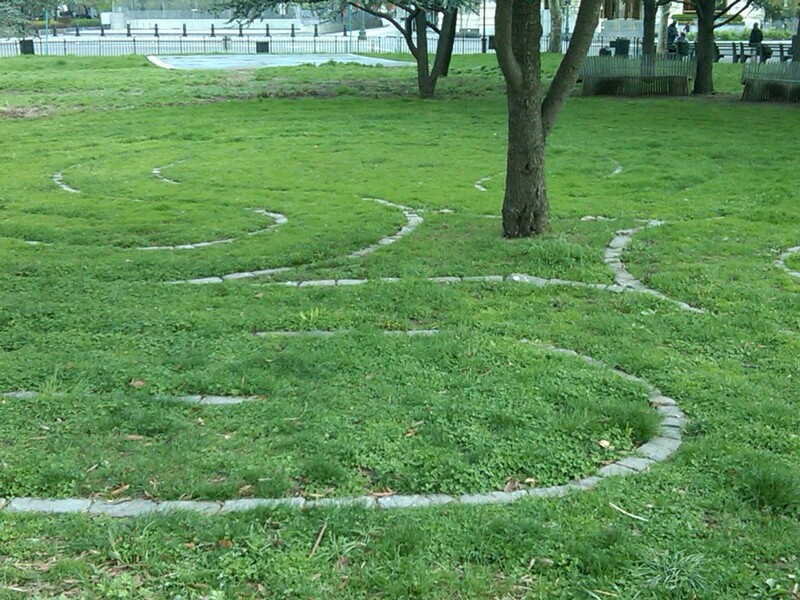 I went for a bike ride this morning, and found myself at the labyrinth in Battery Park in Lower Manhattan. Deciding to walk it, I thought about the birds chirping over head, and the trees looking down from above, all while thinking that the labyrinth is like a metaphor for life itself – – the path twists and turns, though ultimately it travels toward a single life’s journey, wherever it leads. Reminded me of why I have become so interested in research, as I enjoy hearing the stories of various experiences, and how people make meaning out of them. I wonder how many of these experiences have similar meaning frames? Ahh, that is for another day.